A multitude of mortgage scam artists have invaded the internet, public files and even foreclosure notices, putting unsuspecting homeowners and buyers in their crosshairs. While at-risk homeowners who are facing foreclosure are more frequent targets for scammers, first-time buyers and move-up buyers can be at risk for mortgage scams, too. Not to fear- we've identified the top three mortgage scams this winter and give you the information you need to safeguard against them and enter your next real estate transaction protected. If you’re buying a home, it is paramount you’re aware of this scheme. Here’s why: if you fall victim to this scam, it’s likely that authorities will be unable to help due to the complex nature of investigating it. Hackers commit wire fraud by infiltrating email accounts of real estate agents and brokers, identifying sales in progress, and then sending an email directly to the buyer under the guise of a false escrow agent or real estate agent email account. The email instructs the buyer to transfer money into an incorrect recipient account, which the scammer then promptly empties after the buyer has complied. Since money transfers are essentially the same as sending cash, there are virtually no protections for the sender. One preventative measure ahead-of-the curve companies take to prevent wire scams is enabling secure email company-wide. Apex Home Loans takes every step to enforce secure email between our borrowers and staff through encryption and persistent IT monitoring. Since scammers can create fake emails to attack mortgagors, however, to keep this scam at bay, it is recommended that you remain vigilant about calling your escrow officer directly and confirming all email wiring instructions with them first. In that conversation, the correct account number information should be verified verbally at least twice before taking any steps to transfer funds. Many homeowners fall victim to scam artists who offer to provide them with assistance improving the terms, rate or delinquency of their mortgage in exchange for an exorbitant fee. Some promises mortgage scammers may make include: negotiating a solution to the foreclosure more quickly, processing mortgage payments for the consumer while the negotiation is being worked out, or even guaranteeing a loan modification. In most cases, the perpetrator will require that the homeowner pay the fee to handle any of these things upfront, after which they will provide very little assistance or simply take the money and run. Before resorting to third-party assistance, consumers should be aware that counseling services are offered for free through a number of reputable HUD-approved counseling agencies. 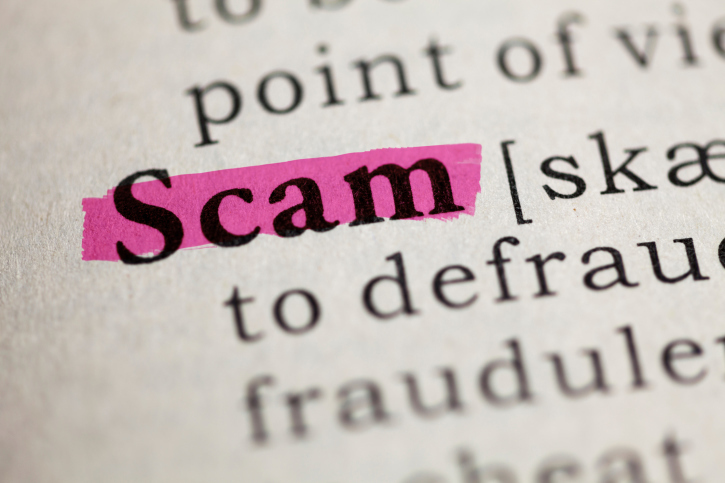 To prevent falling victim to this type of scam, consumers should be extremely cautious about any “company” approaching them with unrealistic promises about modifying their interest rate, pursuing legal action against a lender, or investigating the legality of their loan. Since the actual lender is the only one who can agree to a loan modification and this solution requires additional processing time, overnight fixes are almost always scams. Additionally, consumers should never make mortgage payments to anyone other than their lender. One popular scam that homeowners who are at risk of foreclosure often face is the property deed scam. In this scenario, scam artists promise that if you sign a quitclaim deed to your property, they will allow you rent the home from new owners and eventually repurchase the property when you get back on your feet. They suggest that in order to stop the foreclosure process, you must sign the document so that they (or a fake company) can make mortgage payments. The scammer often promises to sell the home back to the homeowner, but in reality has no intention of doing so. Instead, the scammer will sell the home to another buyer or collect any rent you pay, take the title to the home and any equity, and then leave the home to default. If you are approached by a company who promises to pay your mortgage payments for you if you sign your home away, it is a scam. Report such an occurrence to the FTC, or consult with an attorney if you are unsure. When in doubt, contact your mortgage banker. For additional information about mortgage scams and how to avoid them, or to receive assistance with working out a solution to avoid foreclosure, at-risk homeowners should contact their mortgage professional first.